aloo curry recipe | potato curry recipe | aloo ki sabzi with detailed photo and video recipe. 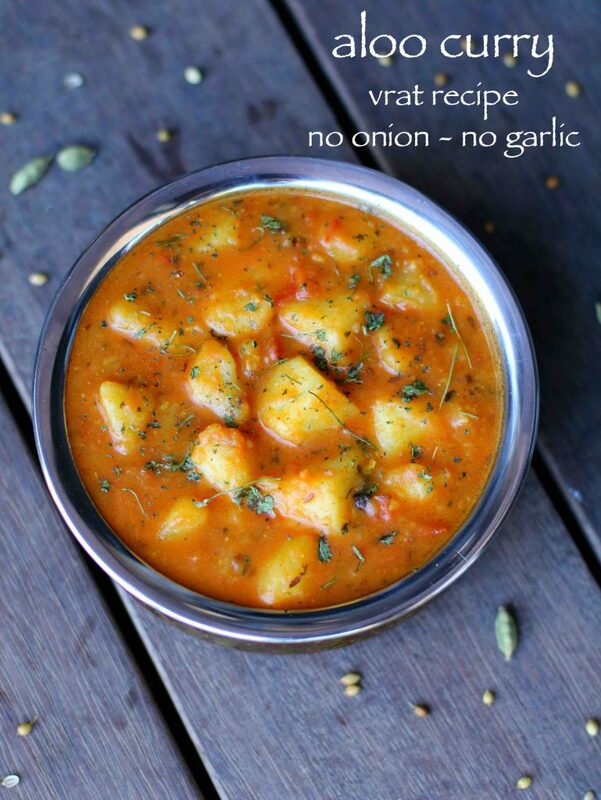 a simple potato and tomato-based thin curry recipe which is mainly prepared without onions and garlic. 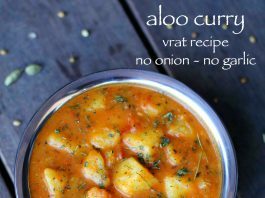 generally, this type of aloo sabzi or aloo tamatar curry is prepared in marriages (shaadi’s) or even in gurudwara langar. the recipe is an ideal curry recipe to relish with chapathi or roti’s, especially during vrat or fasting season. aloo curry recipe | potato curry recipe | aloo ki sabzi with step by step photo and video recipe. perhaps the potato-based curries are the most common basic curry prepared in many indian households. 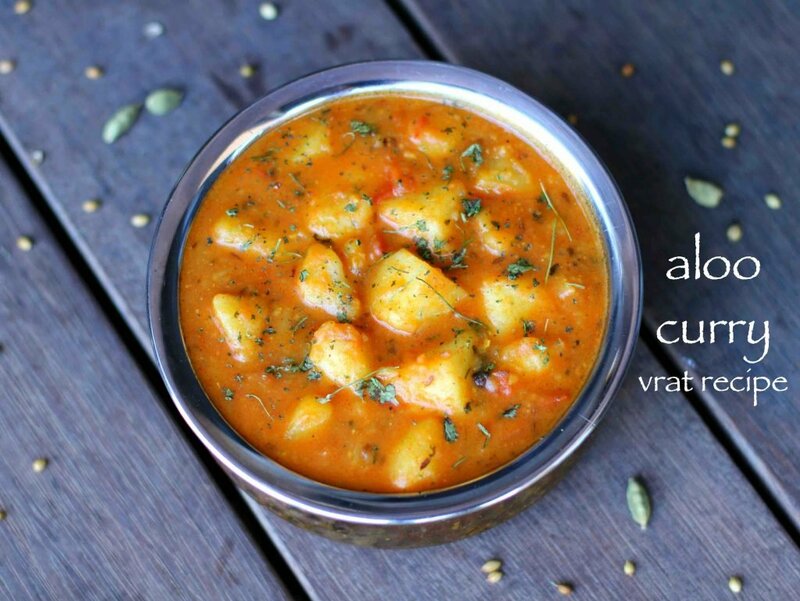 be it for lunch or dinner and for roti’s or for rice, aloo curry is the most common and preferred curry. perhaps the tag of simplicity to prepare with the amazing taste it carries makes it the most loved and frequently. 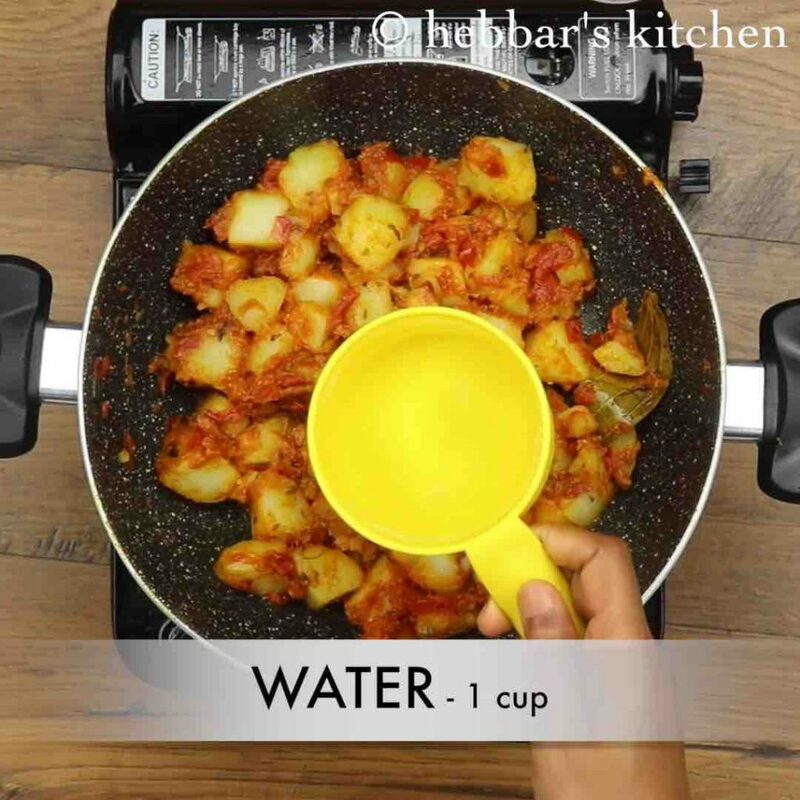 there are so many variants of curries prepared with aloo or potato which typically differs with the ingredients added to it or the way it is prepared. 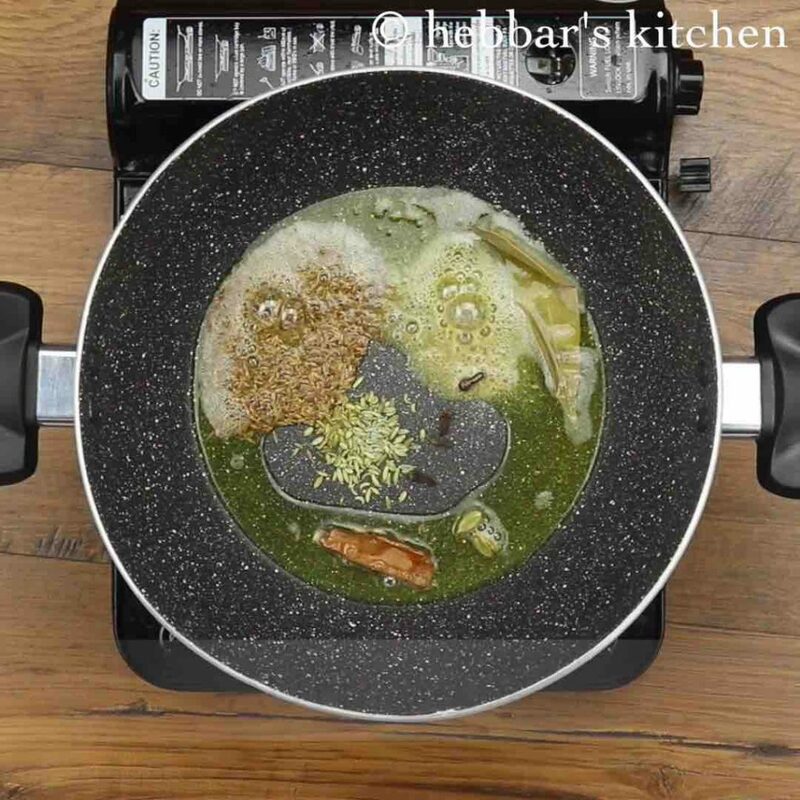 it can also be varied with the consistency of the gravy which can be either thick or thin. 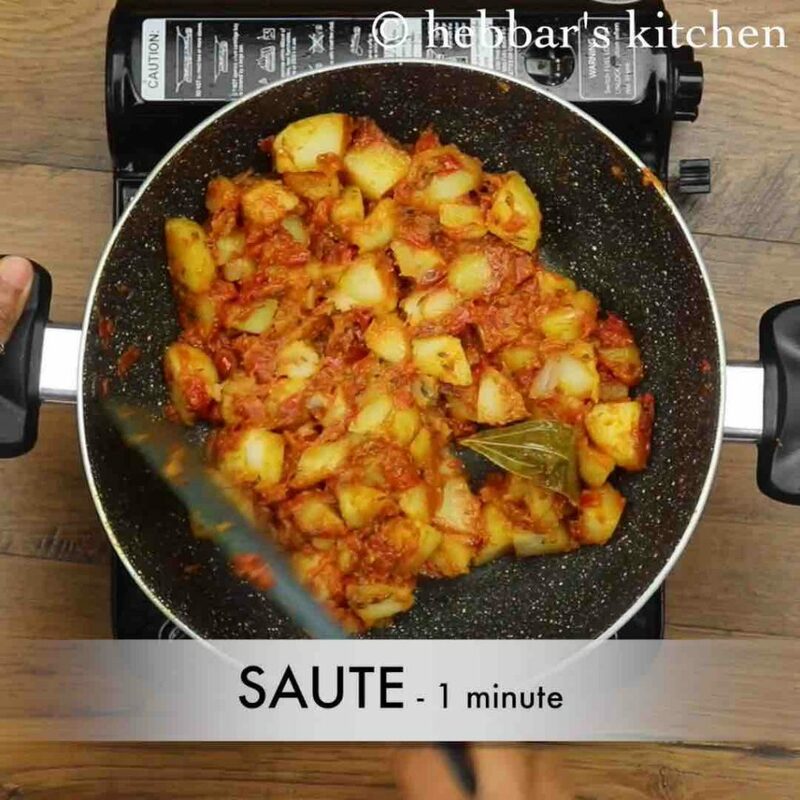 one such recipe is aloo ki sabzi or simple potato curry recipe which is mainly prepared with tomato based sauce and dried fenugreek leaves tempering. moreover, the recipe does not require onions and garlic and hence fewer ingredients which eventually makes it very simple to prepare. hence this recipe can be termed as no onion no garlic recipe and hence it is often prepared for the marriage feast or even in temples and gurudwaras. 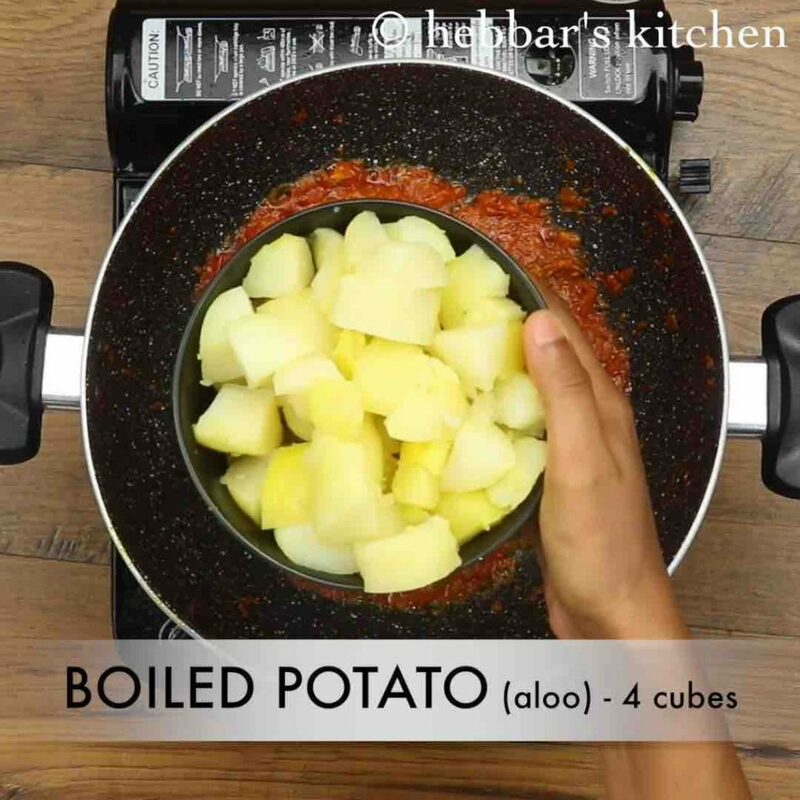 while the recipe is extremely simple, yet some tips and serving suggestions for potato curry recipe or aloo curry recipe. firstly, i pressure cooked the potatoes for 4 whistles and then roughly chopped them before using in the curry. i recommend the same and cooking directly in the curry can be time-consuming and less economical. 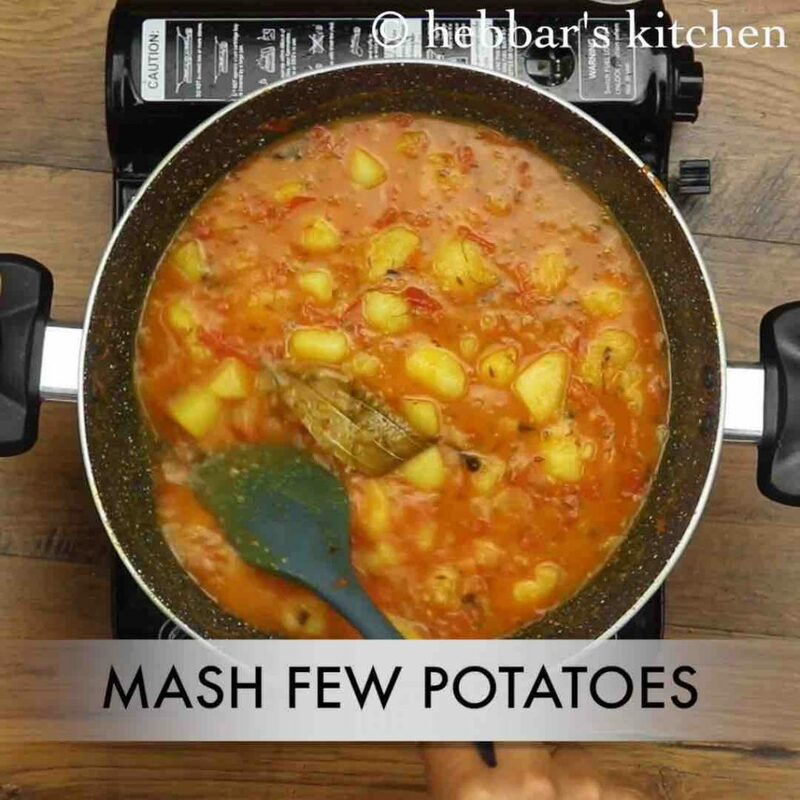 secondly, the consistency of the curry can be easily controlled by mashing the boiled potatoes into the curry. i personally like medium thickness and hence slightly mashed the potatoes while boiling but it completely open-ended. lastly, the recipe can be either served with indian bread’s like chapathi, roti or naan or perhaps with jeera rice or pulao. 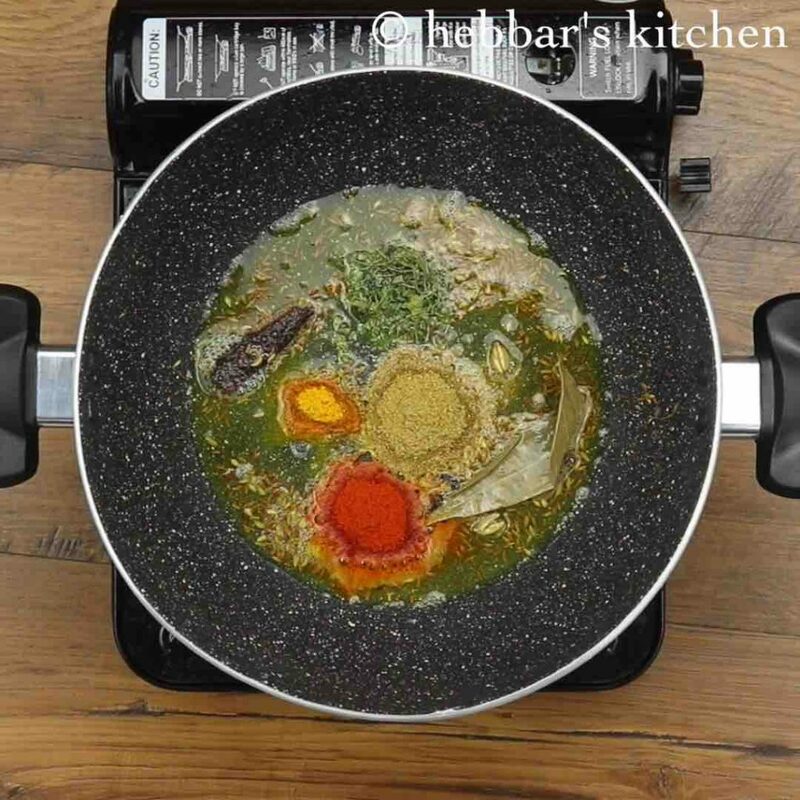 firstly, in a large kadai heat 1 tbsp ghee and saute 1 tsp jeera, 1 bay leaf, 2 pods cardamom, 1 inch cinnamon, 3 cloves, ½ tsp fennel and pinch hing. 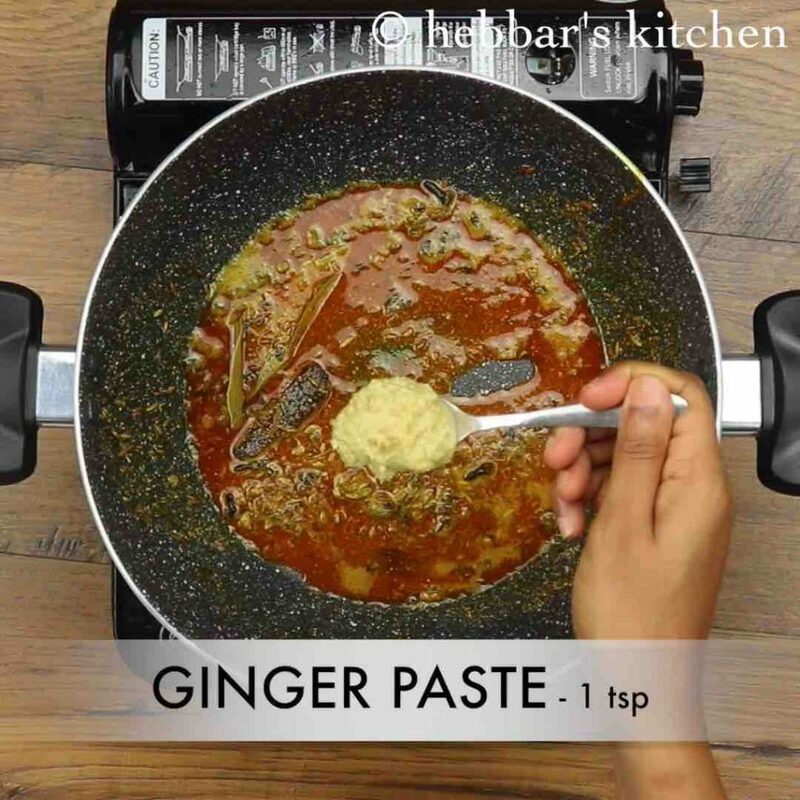 also keeping the flame on low add ¼ tsp turmeric, ½ tsp chilli powder, 1 tsp coriander powder and 1 tsp kasuri methi. now add 1 tsp ginger paste and saute well. additionally, add 3 tomato and saute till the oil releases from tomato. further, add 4 boiled and cubed potato and 1 tsp salt. saute for a minute, making sure the spices are coated well. now add a cup water and adjust consistency. 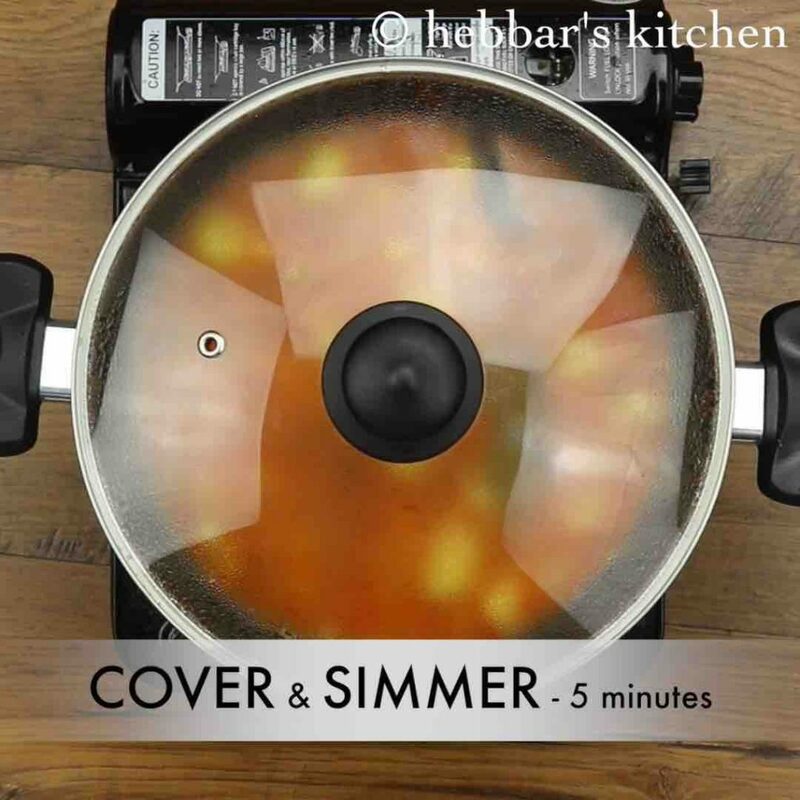 cover and boil for 5 more minutes or till potatoes absorb spices. 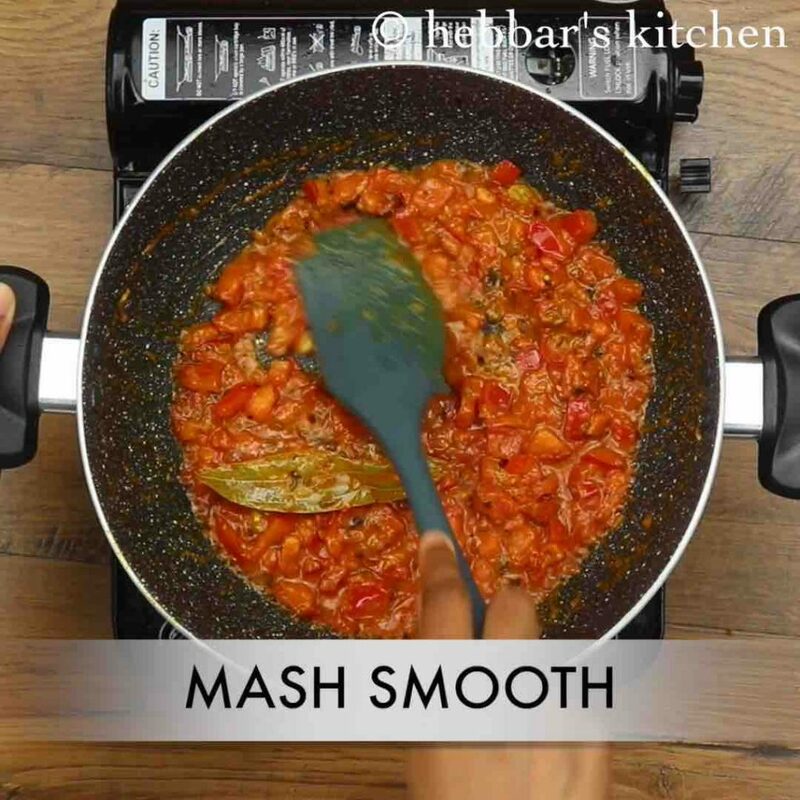 mash few potatoes adjusting the texture of curry. 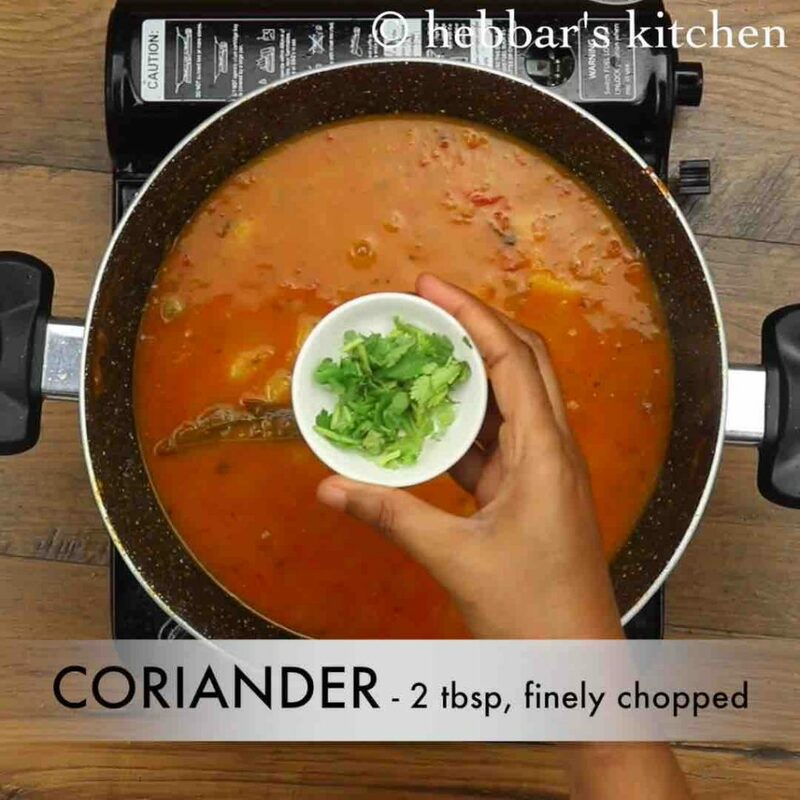 further, add 2 tbsp coriander leaves, squeeze ½ lemon and 1 tsp crushed kasuri methi. finally, serve aloo curry with poori, roti or chapathi. additionally, add 3 tomato and saute for a minute. 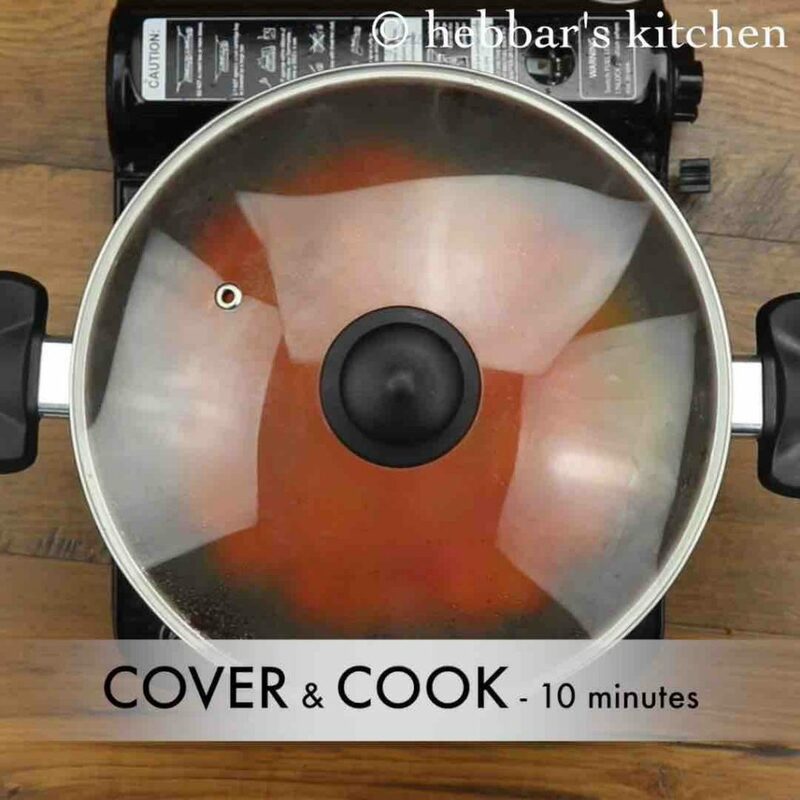 cover and cook for 10 minutes or till tomatoes turn soft and mushy. 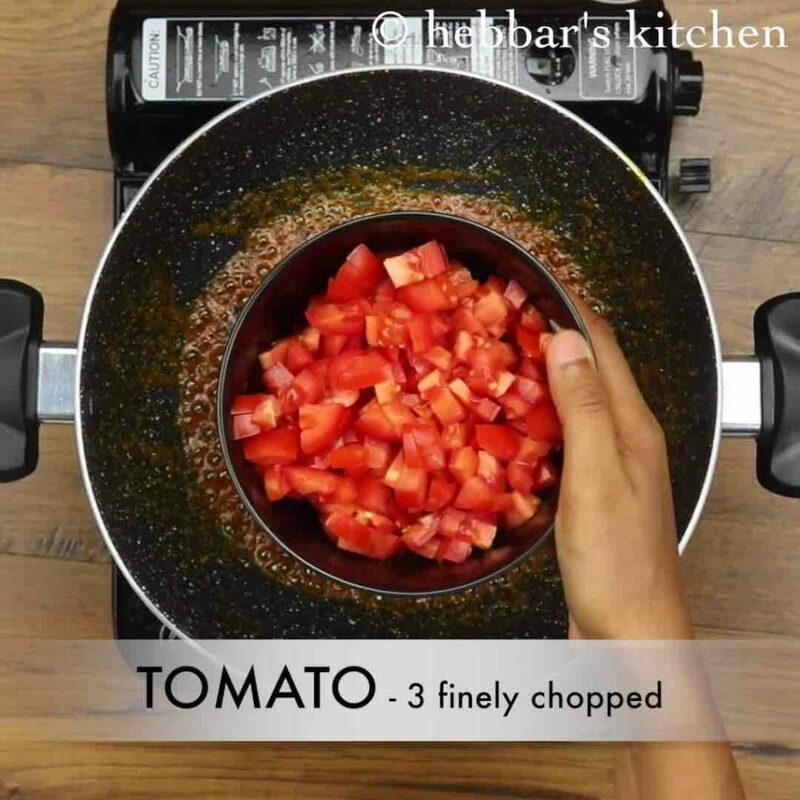 mash the tomatoes well and saute till the oil releases from tomato. now add 1 cup water and adjust consistency. firstly, to reduce calories replace ghee with oil. also add peas along with boiled potato to make aloo matar masala recipe. additionally, adding onions is optional, however, adds on to the flavour. finally, aloo curry recipe tastes great when prepared slightly watery.